A swarm of twelve earthquakes has prompted a demonstration today outside an oil drilling site in Surrey. Campaigners are swooping enmasse to protest drilling at Horse Hill, and other sites in the south east linked to seismic disruption. In the last six month Surrey has felt twelve earthquakes, the largest of which was 3.1 on the Richter scale. According to the British Geological Survey, which recently installed earthquake monitors in the area, the earthquakes occurred 200-700 metres below ground. Campaigners claim oil and gas operations are the possible cause, and are the result of the recent drilling. Simon Elster said: "We call for an moratorium and and immediate inspections of all wells to ensure their well integrity remains intact." In Lancashire a gas company admitted to causing two earthquakes near Blackpool in 2011. This led the government to impose an informal moratorium. The earthquakes were 2.3 and 1.5 on the Richter scale. 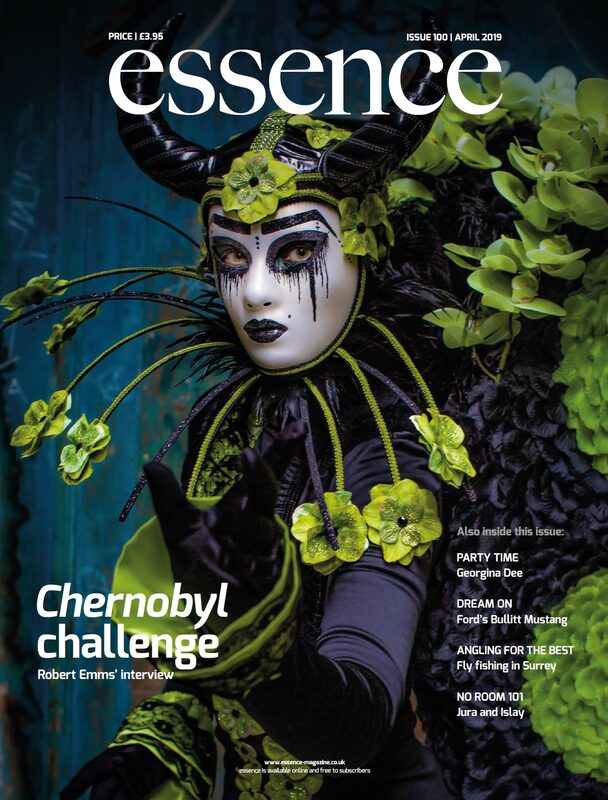 1/ At a drill site near Brockham, Surrey, Angus Energy recently injected 600,000 gallons of wastewater into a well, an activity linked to earthquakes in the US. Meanwhile at nearby Horse Hill, UKOG are currently "flow testing", a process that involved pressuring the sub strata to assess underground reserves. 2/ "Surrey Quake Fears", the Times (attached), letter signed by Stuart Gifillian, senior lecturer in geochemistry, University of Edinburgh, Stuart Haseldine, professor of geology, University of Edinburgh, Bill McGuire, emeritus professor in geophysical and climate hazards, UCL, Richard Selley, emeritus professor of petroleum geology, Imperial College London. Following this week's blanket media coverage of Born Free Co-Founder, Virginia McKenna OBE’s, appeal to the Antiques Roadshow to cease featuring ivory items and the BBC’s decision to review its ivory policy, Born Free, the Horsham-based international wildlife conservation charity, has launched an Ivory Amnesty aimed at people who no longer wish to have any ivory items in their possession. Virginia McKenna said: “I am sure there are many thousands of people who have unwanted ivory in their possession. At home, in a cupboard, on the mantelpiece, on a desk, in a drawer? I am also sure that there are many who are uncertain what to do with it. Born Free is asking members of the public to send in their unwanted ivory, which they guarantee will be destroyed. Born Free promises never to allow the ivory, or any of the ivory it holds in trust, to be sold or traded. The amnesty starts today and will run until 28th February. Born Free Co-Founder and President Will Travers OBE, said: “If you decide to send us your ivory, we will send you a certificate confirming receipt of your item and acknowledging the important decision that you have made. 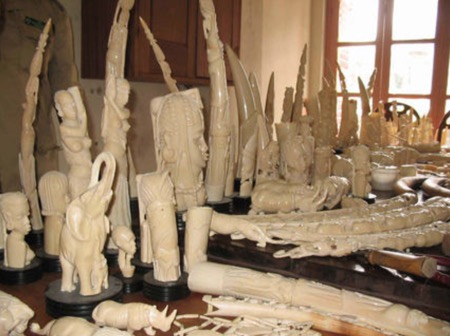 “Millions of citizens in the UK and worldwide reject the notion of putting a commercial value on ivory. For them, and for Born Free, the days of trade are over. Ivory items should be sent, preferably by recorded delivery, to: Born Free Foundation, Broadlands Business Campus, Langhurstwood Road, Horsham, RH12 4QP. For further clarification please email info@bornfree.org.uk. 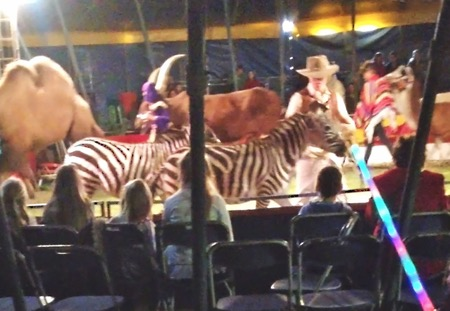 Will UK Government finally ban wild animal circuses? ADI has welcomed reports today that a ban on the use of wild animals in circuses in England is finally to be progressed by the UK Government. If true, it signifies an end to years of inaction and more than a decade of promises by successive governments, during which ADI has time and again exposed animal suffering. Jan Creamer, President of Animal Defenders International, said: "Animal Defenders International welcomes the reports of government plans to finally put the ban on wild animals in circuses before Parliament. However, we remain cautious after so many broken promises over the years. "When parliamentary time allows" has often, it seems, been code for "it's not going to happen", yet the public wants an end to circus suffering and ADI's evidence has repeatedly shown that circus animals urgently need government action". Due to the level of cross-party support, the Labour Government first promised to ban wild animals in circuses during the passage of the Animal Welfare Act 2006. Following the shocking abuse of three elephants at the Great British Circus in 2009, exposed by ADI, a public consultation on the issue was launched by Defra. The results published in 2010 showed 94.5% supported a ban on wild animal acts and resulted in a commitment from the Labour Government before the General Election resulted in a Coalition Government. In 2011, ADI exposed the terrible abuse of Anne the elephant at Bobby Roberts Super Circus, leading to backbench MPs demanding a ban, again with cross-party support. ADI’s shocking footage also led to a cruelty conviction for circus owner Bobby Roberts. With a commitment from the Coalition Government in 2012, legislation was drafted the following year but the bill has simply gathered dust. In the 2015 election 98% of MPs stood on a manifesto promise to ban wild animals in circuses. Repeated efforts by backbench MPs to bring in a ban through Private Member’s Bills have been thwarted by just a few MPs. Changing attitudes and awareness of animal suffering have seen the number of wild animal circuses in Britain plummet. Only two circuses with wild animals performed in England last year, Circus Mondao and Peter Jolly’s Circus. Expert analysis of scientific evidence undertaken by Professor Stephen Harris at Bristol University in 2016, and commissioned by the Welsh Government, concluded, “The available scientific evidence indicates that captive wild animals in circuses and other travelling animal shows do not achieve their optimal welfare requirements.” The report stated that “Life for wild animals in travelling circuses…does not appear to constitute either a ‘good life’ or a ‘life worth living’”. Undercover investigations by ADI inside animal circuses in the UK, Europe, US, and South America have lifted the curtain on the abuse that goes on behind the scenes in circuses leading to bans in countries as diverse as Greece, Singapore, Costa Rica, Taiwan and Colombia. In Bolivia and Peru, ADI has completed major enforcement operations, with wildlife officials and police, tracking down every circus and rescuing all the animals – approaching 200 animals were rescued and relocated. More than 40 countries around the world have introduced prohibitions on animals in circuses to date and opinion polls consistently show that the UK public remains overwhelmingly opposed to wild animal acts, with a high proportion against all animal acts. In November, Ireland introduced regulations prohibiting wild animal acts from 1 January 2018; in December Scotland unanimously voted in favour of legislation to ban and Wales indicated it will work with Defra and the Devolved Administrations to “consider cross-border issues” given the “strong support for a ban” following its consultation on mobile animal exhibits. Reports of a ban in England come on the day New Jersey votes to become the first US state to ban wild animal acts. Over 80 US jurisdictions in 31 states have taken action to restrict such acts. 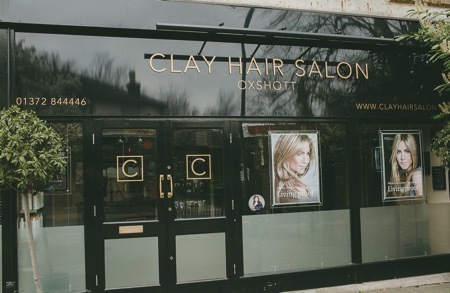 Clay Hair Salon (Oxshott, Surrey) has won ‘Business Salon of the Year 2015’ at the recent prestigious Salon Business Awards, held onboard ‘The Yacht’ on the Thames in London. Salons across the UK submitted their entries in the hope that they would be shortlisted and potentially winners of one of these coveted awards. Clay Hair Salon was delighted to win ‘Business Salon of the Year’ that judged entries on every aspect of the business including customer experience, financial figures, marketing, social media, branding and staff development.